Nowadays, homeowners have become more meticulous in beautifying their properties that even with their driveways, they want to make them perfect and very appealing to the passersby. Generally, concretes are utilized in modifying driveways because they can create a clean and a pleasant looking aura and they can be costly. But little did the homeowners know that a more advanced and sophisticated way with low cost in developing driveways is now available. Concrete, a primary composition of cement, aggregate and water are what most residents use in making their houses, backyards and driveways. Reinforcements and additives are sometimes included to obtain a more desirable outcome of the finished product. It is easily done and costs cheaper. But one problem with concrete is its durability. Concrete lasts long, but prolonged exposure to heavy weights, extreme, hot and cold temperatures, especially in the driveways, they tend to crack. Due to this, residents will spend money again for repair services. One of the many improved ways of modifying driveways nowadays that have been popularized and applied worldwide is interlocking stone pavers. 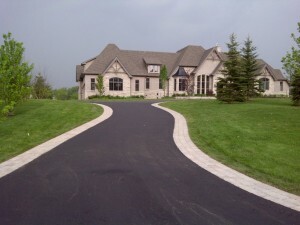 Due to its numerous advantages, interlocking pavers have become incomparable to other driveway modifications. One of which is its high durability that they last longer than any other available. Another one is its repairable property that whenever one stone is damaged, you don’t have to remove everything but just the damaged one and replace it right away. 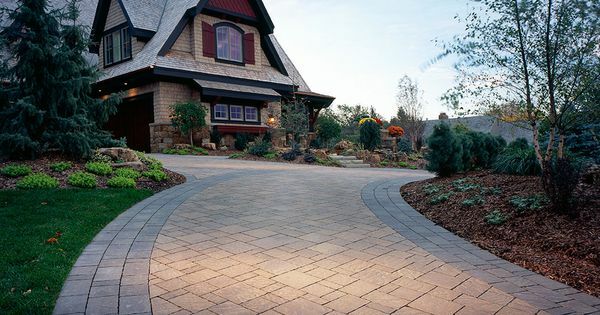 And for its maintenance, interlocking stone pavement wears well, therefore it is very easy to clean. Stones to be interlocked come in different sizes and colors too that may add up with the attractiveness of the house features. Combinations of different patterns could also be applied depending on the homeowner’s preferences. So if beautifying and making your driveways long lasting is your problem, interlocking stone pavement should be the best solution for you. 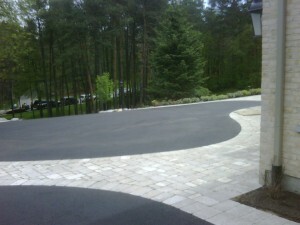 Lots of paving companies offer interlocking stone pavement services. But, we in Progress Paving Ltd. can guarantee efficient and quality services. For over fifty years, we have been continually producing high standard and excellent outcomes all throughout Toronto, New Market, Aurora, Markham and Richmond Hill. We are committed to provide customer satisfaction together with our team of trained professionals and high quality materials. In addition, we offer original designs and patterns. We extend our services to garden, patio, walkways and retaining walls for every customer who needs our help regarding these home and property transformations.